Hi, I’m Jenn! I’m the owner and artist at Jennifer Saunders Bridal. The wedding business has been my passion for about ten years now. I love spending the day getting our brides and their families ready. 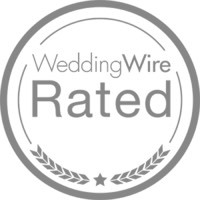 I appreciate our brides trusting us to create their wedding day hair and makeup! When I’m not working I am a mom of two littles Milo and Zoey, who are my world. I am engaged to be married to Scott next February and am sooo excited! I adore the women who work with JSB and are amazing stylists! I am an open book. If you want to know something ask. I would love to hear about you as well! I love to connect with other artists and make friends along the way. Thanks for taking the time to stop by! Hi I’m Sade. In 2009 I started my career as a stylist in a salon where I worked for 6 years. I absolutely love doing special occasion hair and making every client that sits in my chair feel beautiful .If I had to choose my favorite updo I’d say anything boho, ethereal and textured. I’m married to my hunky husband Michael and we have three beautiful babies together. I adore all my little babes and spending time with my family. When I’m not chasing after my three littles or doing hair I love binge watching Game of Thrones and eating a good slice of pizza.